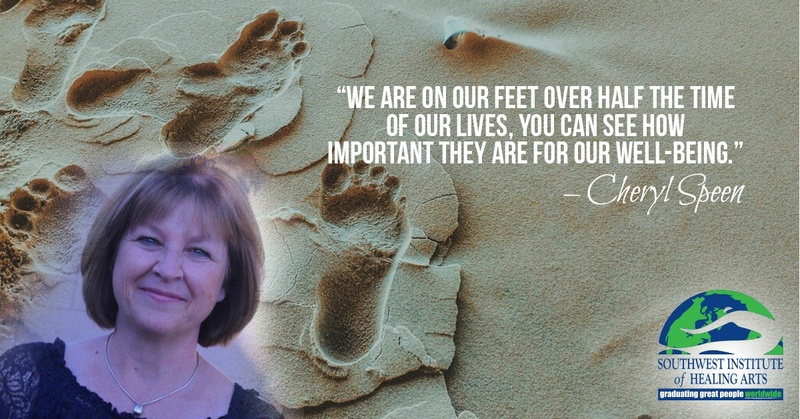 “When you consider that we are on our feet over half the time of our lives, you can see how important they are for our well-being,” Cheryl explains. Cheryl is a SWIHA graduate, having completed the Massage program with Reflexology and Myofascial Specialties. 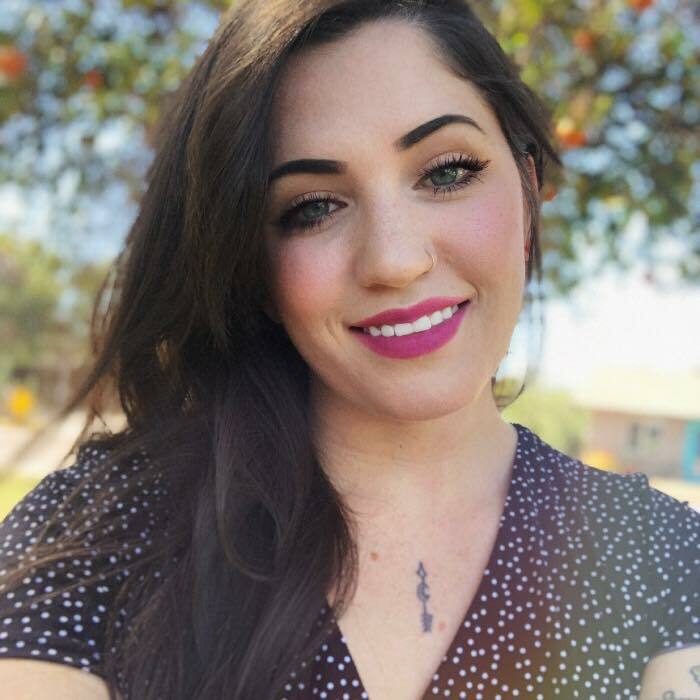 She’d been practicing Reflexology for more than a decade before coming to SWIHA, and she wanted to expand her knowledge of healing the body. 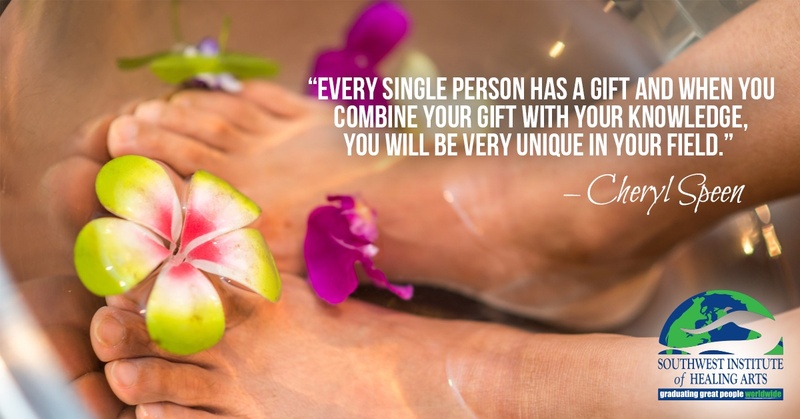 Now, Cheryl Speen runs her private practice out of her home and also plays an instrumental part in SWIHA’s Reflexology and Toe Reading programs. What Do Your Toes Have to Say? 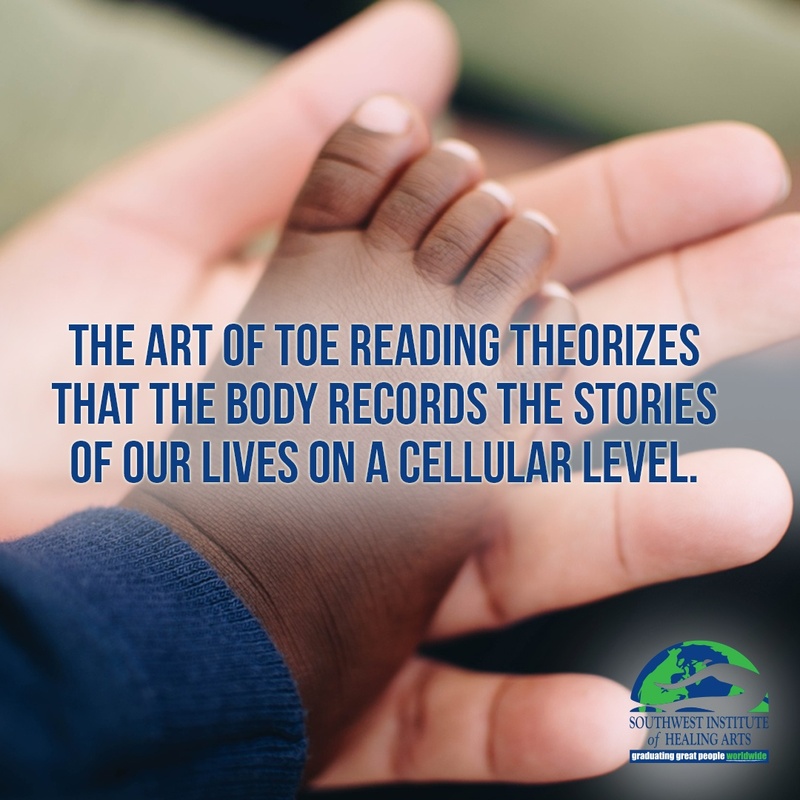 The art of Toe Reading theorizes that the body records the stories of our lives on a cellular level, allowing the toes to project the emotional journey in a physical way. The position and shapes of the toes tell you about the energy held in the body, and reveal how someone may cope with feelings, situations, relationships and more. By observing someone’s toes, you will know a great deal about their past and the experiences they have lived through. Flexible feet indicate a person who adapts easily, yet hyper-flexibility could indicate a tendency toward being too easily manipulated. Rigid feet often belong to those who are strict, precise and stubborn. The second toe is the Air to, representing our communication styles. A bulbous toe, one that looks like there is a little mushroom on the end of it, indicates that this person loves to talk and has more to say than they already do. If the tips of the toes are especially blunt, you will find that the person’s communication style is equally blunt and bottom-line. The Water toe is the fourth toe, also known as the Relationship Toe. A Water toe on the right foot that is pointed toward the ground may mean that the person doesn’t have a wide variety of friends and prefers to keep a few very close friends. If the Water toe naturally touches the middle toe (the Fire toe), it can suggest that the person has a deep need to be in a relationship and finds it difficult to operate on their own. The general angle of the toes reveals the person’s shyness or outgoingness. Toes that point directly ahead suggest confidence and a forthright approach to life. When the toes become exhausted and weighted down, you can bet that the person is feeling that same way about their life. After observing the person’s toes during a Toe Reading session, practitioners may implement some Reflexology techniques to encourage healing. The pressure points on our feet are connected to energy pathways that flow throughout our bodies. Reflexology helps unblock congested channels, which helps to restore the body to a healthy state. By stimulating different parts of the foot, you can balance the energy throughout the whole body. For instance: the third Reflexology zone, which is located across the middle of the sole, corresponds with the organs located in the middle of our torso: the liver, the gallbladder, stomach, pancreas, kidneys and spleen. If you’re suffering from a stomach ache, you can massage the inner areas of the soles, just under the balls of your feet. To help relieve headaches, squeeze the tips of your toes for five to ten seconds each. Applying pressure to the heels of your feet can ease lower back pain caused by poor posture or a sedentary lifestyle. Massaging the area right below the big toes can help with chronic neck pain.